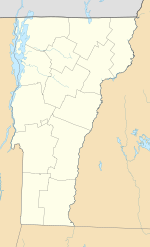 ^ Official map by the United States Census Bureau; Chittenden County listed on page 3. Accessed 2009-08-22. ^ Welch, Victoria (2006-11-08), “Essex Defeats Merger 2-1”, Burlington Free Press . ^ Tyler, George (2006-11-09), “Merger Wins: Confusion over vote count”, Essex Reporter . ^ Welch, Victoria (2006-11-09), “Essex merger moves forward: An apology to our Essex readers”, Burlington Free Press . ^ Welch, Victoria (2006-12-07), “New rift emerges in Essex merger”, Burlington Free Press . ^ McKean, Dan (August 17, 2008). Which way?. Burlington Free Press.